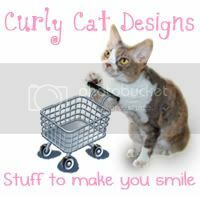 Daisy the Curly Cat: How Does THAT Work? Getting SPADED! How Does THAT Work? Getting SPADED! I had to put on my THINKING cap for a LONG time to figure THIS one out. I ALREADY explained how BOY cats get NEUTERED. 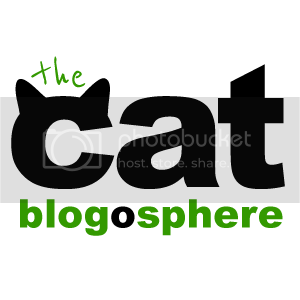 Many of you wanted to know, WHAT happens to GIRL cats? Well, they get SPADED. I have HEARD it called being "SPAYED" but this is a spelling ERROR. 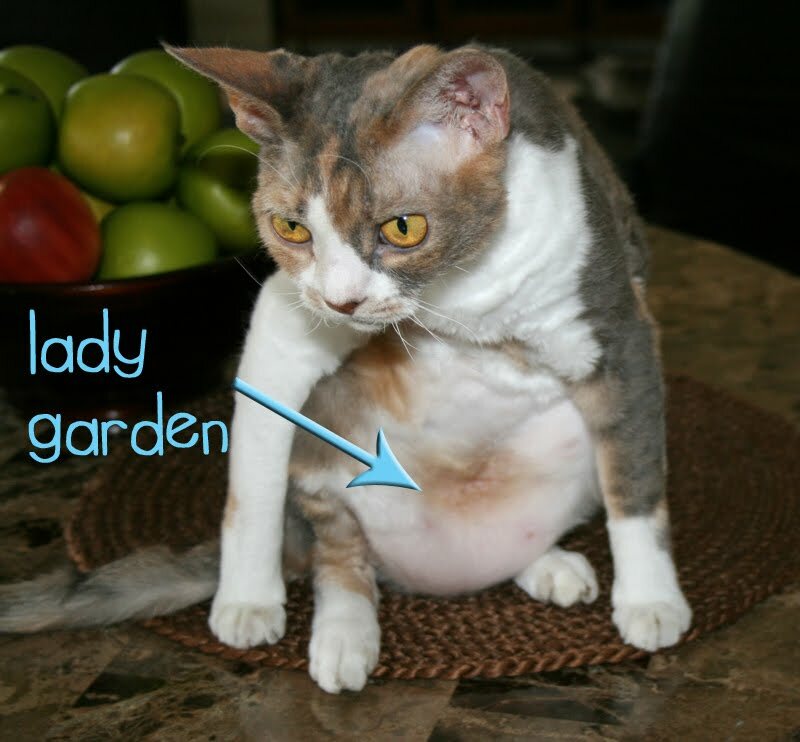 See, GIRL cats have a LADY GARDEN in their INSIDES. The GARDEN must be pretty BIG, which is why Daisy has a big BELLIE! This is what the GARDEN looks like on the INSIDE. There are just REGULAR plants inside there until a BEE comes along to FERTILIZE the plants. One day, your mom and dad will EXPLAIN the BIRDS and the BEES to you. The FERTILIZER part is CONFUSING. NEXT, the seedling turns into a KITTEN! They get BORNED after a lot of DAYS. 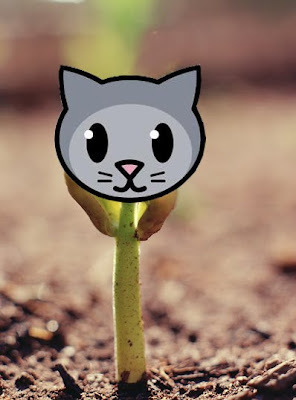 But since there are ALREADY a lot of KITTEN plants getting BORNED, this is not always a GOOD thing. Maybe SOME cats use MIRACLE GROW! 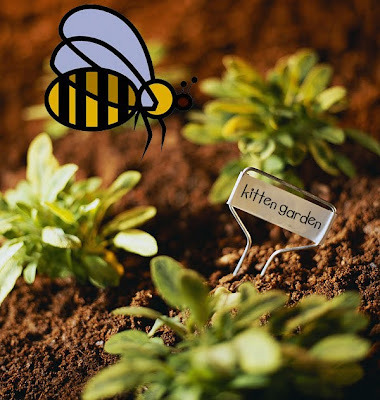 MORE kitten plants are not NEEDED because not all kittens have HOMES. So, ONE DAY, the GIRL cat goes to a GARDEN CENTER. The GARDEN GNOME will use his SPADE to FIX the GARDEN. This is why it is called being SPADED. The spade REMOVES the GARDEN!!! But do not WORRY, because the girlcat will be ASLEEP when it happens. Daisy is very SHOCKED to learn the REAL truth. But she got SPADED many YEARS ago. She probably FORGOT all about the GARDEN CENTER! It is a GOOD thing I can FIGURE out how stuff WORKS! You mean THAT is what they were doing when I was knocked out?! Wow, I had no idea! Thank you Harley for figuring that out and sharing the information with us. I always wondered what gnomes were for. 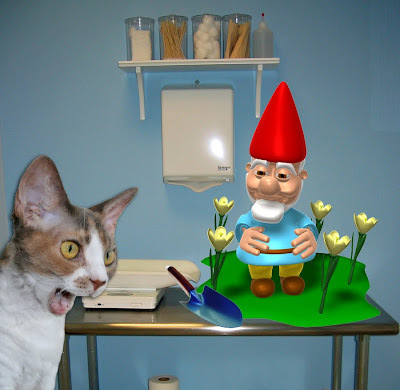 Gnome must be secret code for V. E. T.
thank you harley for another informative post! i am going to share this with our puppy, penny. she will be spaded next month, i am sure this will help her, knowledge is power! but i will keep an eye on the gnome...they are kind of tricky! Wow Harley, even Momma didn't know that and she's pretty smart. We're glad your posts are so educational!! Is THAT what happened to me all those years ago? Harley, I think these lessons qualify you to teach as an adjunct professor at the university where I work. Would you consider coming in to give classes? You would have to use a computer and it helps if you know PowerPoint. You can even use a laser pen, but you just can't chase the dot around when you're teaching. Call me. I like this explanation and am going to share about it in my "Things I Learned this Week" post tomorrow with a link back here so others can learn all about this procedure too! Wow, that explanation has so many parts to it - the Lady Garden, the Birds and Bees, the Garden Gnome. You are very smart to have been able to keep it all straight in your heard, Harley. Mine is swimming. Harley, after hearing that, we're glad we are mancats!! Harley, you had Mom fall off her chair laughing. What a great way to explain spaded. So glad you helped us understand the garden inside Daisy which isn't there anymore. We need all cats spaded. Thankyou, Harley for that great explanation. We all got spaded too but we didn't realize what had really happened. Now we know! thanks for clearing all that up for me harley. when it comes to that subject i know very little. Harley is that funny little man with the red hat the one that SPADED Daisy? We wouldn't have liked him rummaging in our gardens with his SPADED. Thank you for telling us all about this important health care. So that's how that spaying thing works. Thanks for the explanation, Harley. You are such a smart mancat! My goodness, Harley, you sure are good at putting together pieces of a difficult puzzle so you can explain things to us! Who would have thought it would have involved bees and a garden center with a garden gnome?? That is the BEST explanation we've heard on the Spading situation!!! You totally rock, Harley!!! We are always so impressed by your knnowledge. We knew some of that but had no idea about the Gnome! 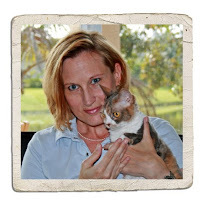 Thank you, Harley-- this was extremely educational, and helped me understand what my cat Alice has gone through. She has a big belly like Daisy. It must be the garden. Oh, no wonder us girls felt a little ouchie after dey knockeded us out! Harley, you have it ALL down really well. I didn't know about that lady Garden or the gnomes but now I know what happened when mommy took me to the Garden Center and the Gnome spaded me with his spade! (you're right. I always suspected there was a misspelling with 'spayed'). Harley, no looking at bellie places. Or no commenting on them. Daisy might swipe you with her paw! Thank you Harley for telling us how it works. We knew lady cats had a garden but didn't know how the spading worked. 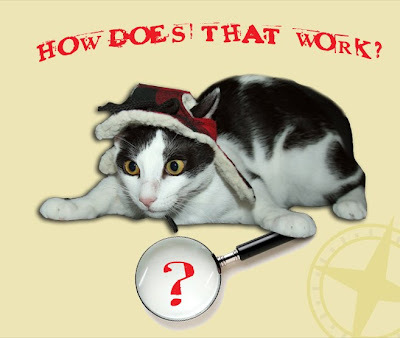 MOL, We loves the pictures you had to go along with your explanation. No wonder Artemisia is so good in the Butterfly Garden. YIKES! Another reason to be glad we are boy cats! Honestly! those darn garden gnomes... they are everywhere aren't they?? who knew? Your erudition never ceases to amaze us, Harley! Another mystery solved! You are clearly a genius, Harley. That was a very good explanation Harley! We wish more girl cats would be able to visit the Garden Gnome. And to think I thought you were talking about gardening... Lady garden, how clever! That was very informative Harley! Thanks for solving that mystery for us! Goodness! We are so very glad you taught us that! What would we do without you to explain all this impawtant stuff to us, Harley? Harley, thank you for explaining that to us! We did not know all of that. Harley, you just won't do! What a creative way to think about this important topic. This might just be the finest explanation about the birds and the bees, not to mention the garden center, that I have ever read. ice job. Oh my gosh, Harley! Where would I be without your very helpful explanations? You are so smart and a very good teacher too! Thank you for explaining The Traumatic Event. The visuals helped to. And Daisy, thank you for letting him share this. It is very important information for us kitties to have. Harley, you are amazing! You've really outdone yourself with this report. Your pictures are excellent. 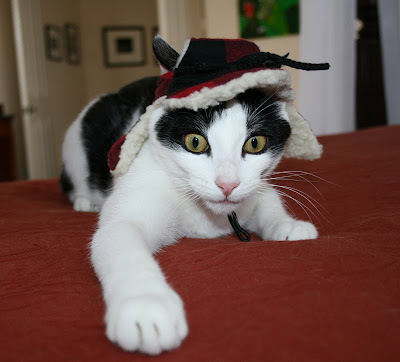 My sisfurs are all spaded and have never had any kittehs. Well, Jasmine had kittehs, but that was before she came to live with us. I'm sorta glad I'm a mancat. Sure you took your time with the research! Harley, I don't know why, but Glogirly is laughing so hard she's having to wipe her eyes. I'm pretty sure she's not even laughing at me. All I know for sure is that I'm not EVER going to trust those crafty little garden gnomes. I KNEW there was something winky with them. Well, that is an interesting explanation, Harley. Thank you for sharing it. Jan is rolling on the floor laughing. Wonder what's so funny? Harley, you are so smart!! Thank you for the wonderful explanation! Whoa...had no idea! I bet Jonesie knew because she knows all about gardens...and we have those spades in the shed. I don't remember the garden gnomes lurking about but I passed out before my surgery so I suppose I missed them! Thank you Harley for giving us the real scoop! Who knew? Thanks for clearing this up, Harley. You are one smart kitty! Harley, once again we are awed by the breadth of your knowledge! LOL! Harley, you've really made my day! I can't stop laughing at your post! Hummm....what about the green thumbs? You are SO smart. You are so ingenious being able to explain such a complicated thing and turn it into such a simple thing so that we can understand it. Amy sent us over to see the explanation today. May I say you are the BESTEST teacher, Harley. I must tell all the fosters to come visit you when it is their turn to have the lady garden spaded.